Material preserved in this way maintains the consistency of living material but may be kept for several months without freezing or refrigeration. 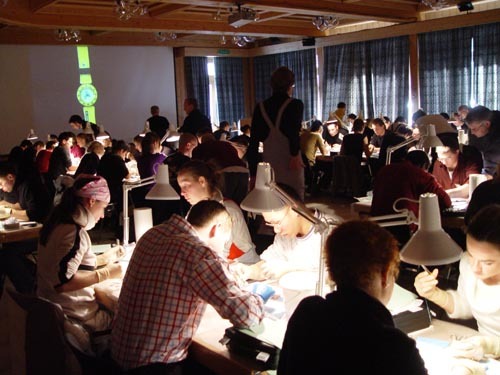 The GASTROINTESTINAL SURGERY WORKSHOP takes place in Davos every year and I have been involved with this course since the very beginning. This is due to my development of a preservation system that maintains the natural consistency of the intestinal material without smell or deterioration. In addition, I also developed a stain for the lumen that enhanced visualization of the mucosal layer.